Mine: This movie was a pleasant surprise in it's overall acting and charm, with a wonderfully directed cast. 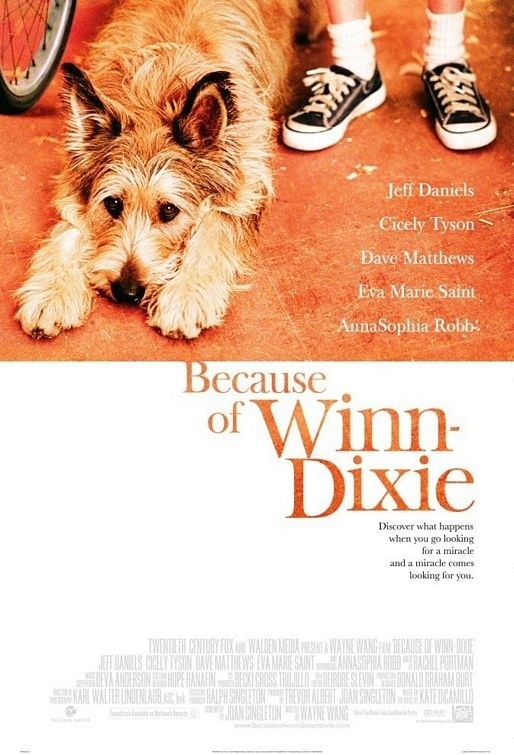 Winn-Dixie was a fun movie and the dog was really not the star of this one. While the dog had charm, it was little India Opal who stole the show. With Dave Matthews and Cicely Tyson playing wonderful roles, the characters in this film steal your heart. Leonard Maltin/Plot synopsis: A mischievous dog befriends a lonely young girl in a new town and helps her make new friends.